Item is lightly used and has been tested to confirm that it works as it should. 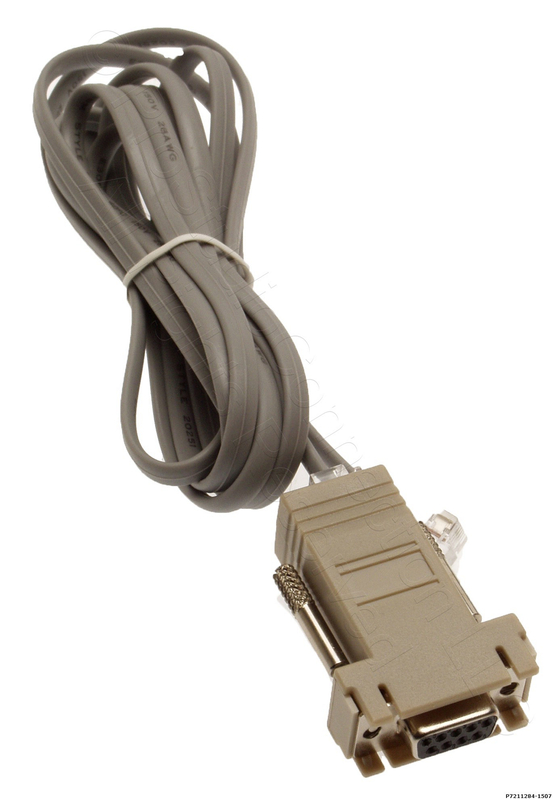 The power supply and all connector blocks are included, as is a serial cable to connect the unit to your automation PC. No unpictured documents, cables or accessories are included. The photos show the actual item for sale. The manual may be downloaded here. The Broadcast Tools ACS 8.2 Plus provides matrix audio switching of 8 stereo inputs to 2 stereo plus 2 mono outputs. Any input assigned to output one has fading capabilities. Matrix switching allows any/or all inputs to be assigned to any/or all outputs. The ACS 8.2 Plus is equipped with a front panel monitor selection switch. This allows the user to select which stereo output the VU meters and headphone amplifier monitors. 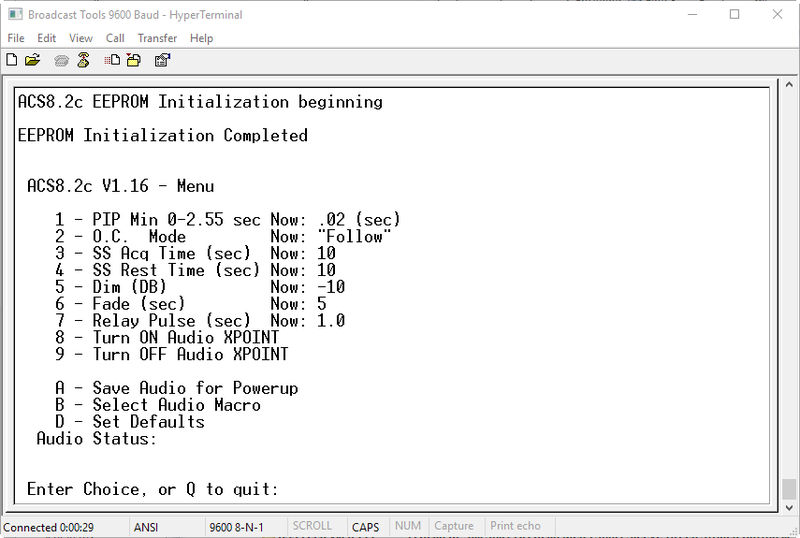 Optional AGC module [NOT INCLUDED] may be added to each output channel to maintain consistent levels. The ACS 8.2 Plus may be controlled via front panel switches, contact closures, 5-volt TTL/CMOS logic and/or the multi-drop RS-232 serial port (an optional USB adapter is available from Broadcast Tools and not included with the item). Installation is simplified with plug-in euroblock screw terminals. The ACS 8.2 Plus is the ideal hardware to add to most automation systems, when stations are fed by a number of different satellite network providers. The automation system can easily switch between audio inputs and/or respond to incoming trigger closures. 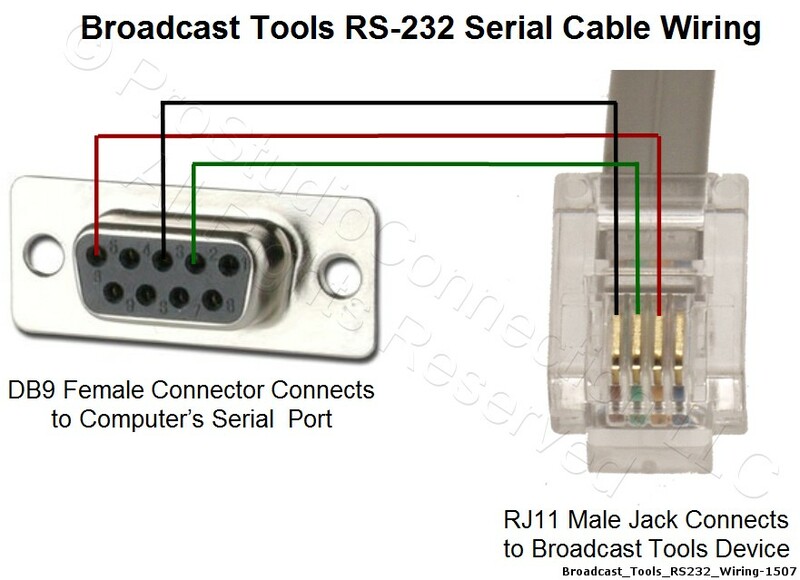 If you are familiar with the Broadcast Tools SS 8.2, the ACS 8.2 Plus is it's upgraded replacement. Some of the new features are a fully digital audio signal path and the ability to fade between input channels on output 1. Trigger and relay terminals are now on de-pluggable screw terminals for easy installation. Typically, output 1 is fed direct to the Air chain, while output 2 is wired to the computer record input. This allows one satellite source to be fed to Air, while another is recorded in the background. An internal stereo silence sensor with front panel LED indicators and relay with adjustable threshold and duration can be used to monitor the incoming satellite feed and trigger Simian to provide a backup service in case of failure. Each input has a variable level control, so that the volume from all networks can be matched, a task made easier with the front panel LED VU Meters. The ACS 8.2 Plus has enough incoming triggers to respond to satellite network feeds as well as EAS alarms and mixing console remote starts. Logic functions via microprocessor and non-volatile memory. Internal stereo silence sensors monitor both output channels. Each is equipped with front panel "SS" LED indicators; separate SPDT alarm relays, adjustable alarm delay and restore duration. Sensitivity is factory set at -34db. Front panel input selection switches are provided for each input channel with separate output indicator LED's. VU meters with front panel output selection switch. headphone jack and level control. 16 input GPI port (PIP) with LED indicator. 8 SPDT relay outputs with multiplex function on output two. Programmable via serial burst commands. Low noise and distortion circuitry. Multidrop RS-232 serial port with data activity LED.